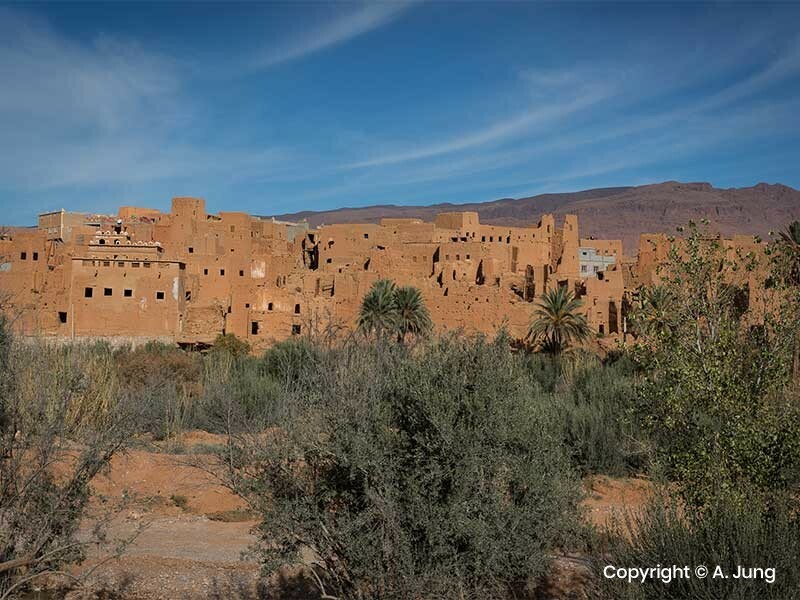 our tour from Marrakech towards the valley of Roses, famous for its annual Festival of roses and then drive to the Dades Gorge where we’ll have dinner and spend the night in a local hotel. 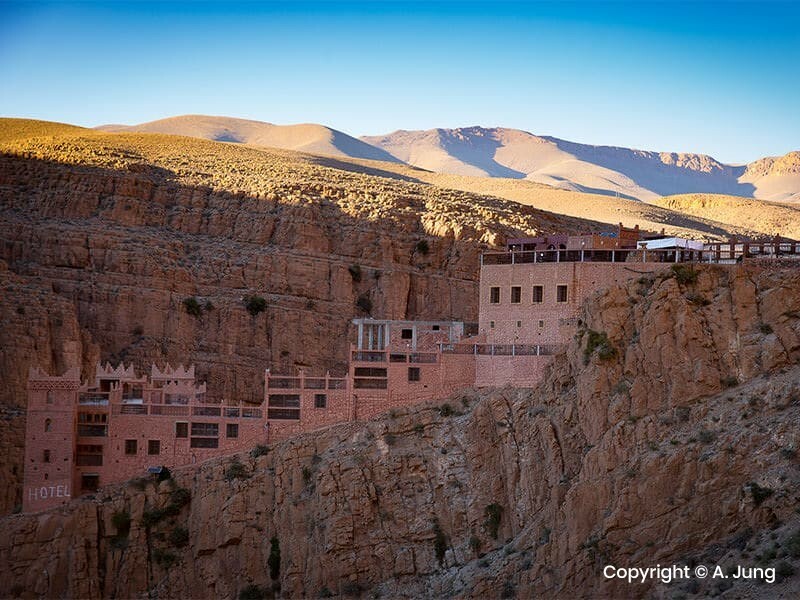 After breakfast we’ll head, for a long trip, towards the Todra Gorge (Valley) where we’ll stop for lunch. Later in the afternoon well travel to Erfoud through the Tinjdad and Tourog Palm Groves. 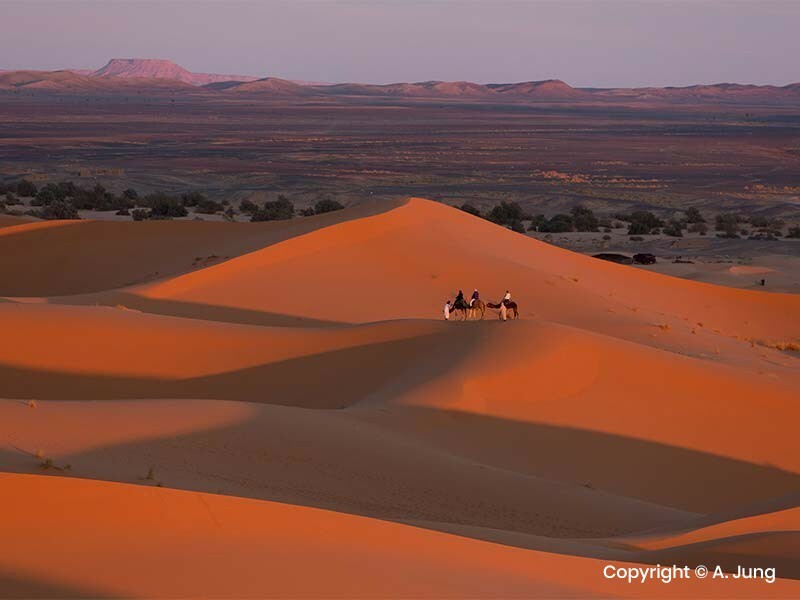 captivating Merzouga Dunes of Erg Chebbi where we’ll leave our 4x4 behind and carry on by camelback (optional) to admire the sunset, spending the night under Berber bivouacs. to reach Ouarzazatte. 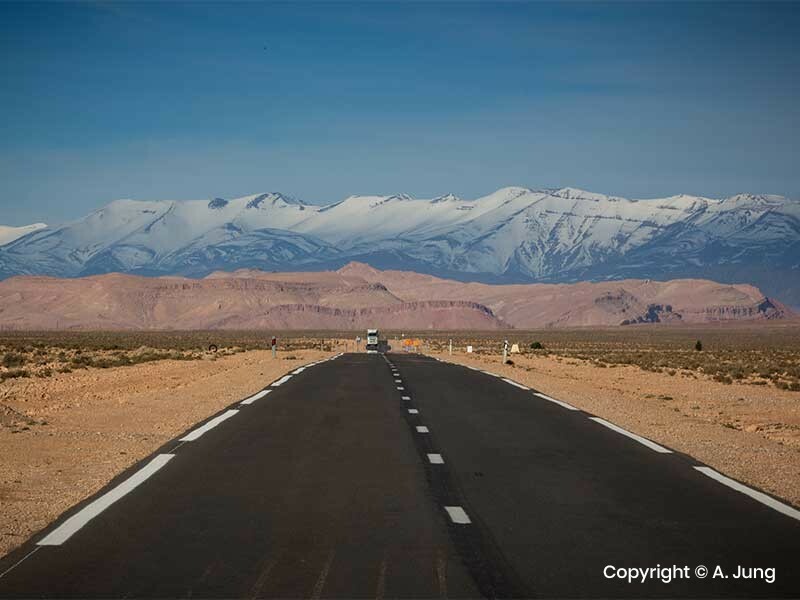 Then we’ll end our trip returning through the Tizi-n-Tichka pass to Marrakesh. 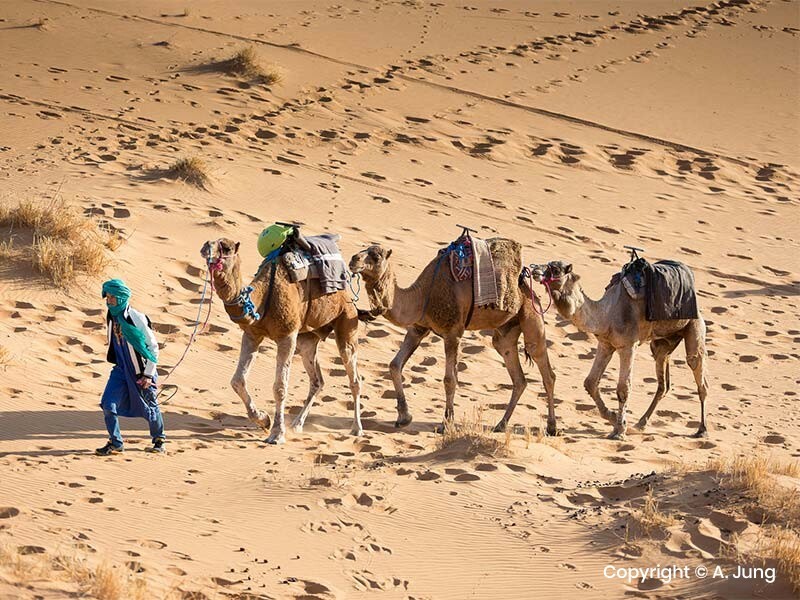 Have a look at prices for private Morocco tour with Holiday Tours In Morocco. For the the group more than 4 people please contact us to give a price for it. For to know difference between budget, standard and high class accommodation, please visit Accommodation in Morocco page. More info about terms and conditions at our FAQ page.